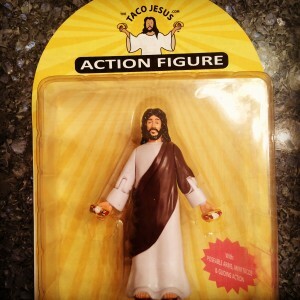 Action figures have been around for many years honoring some of the greatest super heroes of all-time, but not until now has the ultimate action figure become available honoring the one true super hero Taco Jesus. 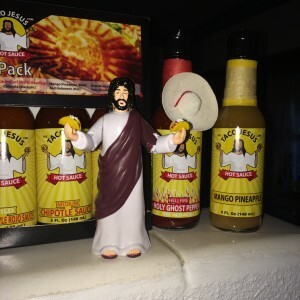 Spiderman may have spidey sense, and Superman may be able to leap tall buildings in a single bound, but these powers pale in comparison to the true powers of Taco Jesus. With poseable arms and a wheeled base for gliding action the Taco Jesus Action Figure will bring real taco action to your playtime. All the neighborhood Barbies will flock to your house and you will be the envy of all of your friends when you break out your Taco Jesus Action Figure. Whether this is part of your action figure collection or part of your fun time action the Taco Jesus Action Figure is guaranteed to bring a smile to your face every time you break him out. You can perform true miracles like turning imaginary water into cerveza and feeding the masses from just two tacos. 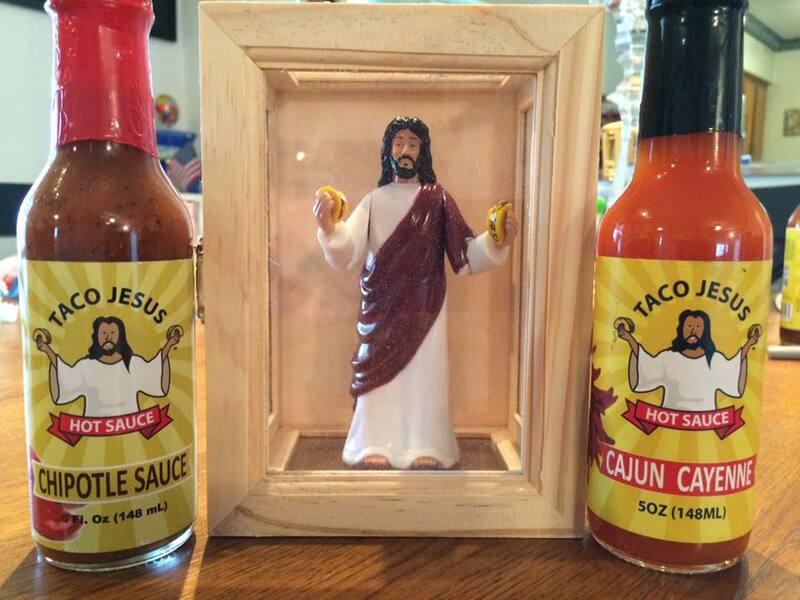 The miracles you will be able to perform with the Taco Jesus Action Figure are only limited by your imagination.